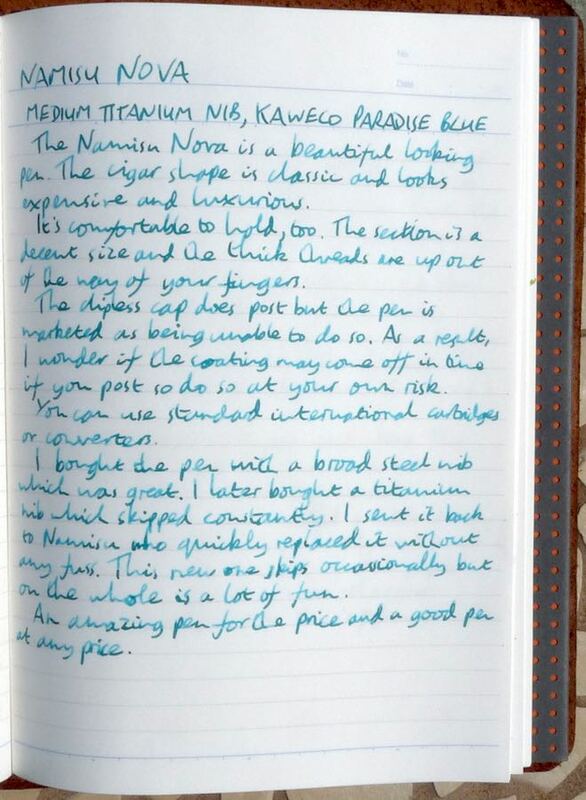 Namisu Nova Fountain Pen Review – Pens! Paper! Pencils! 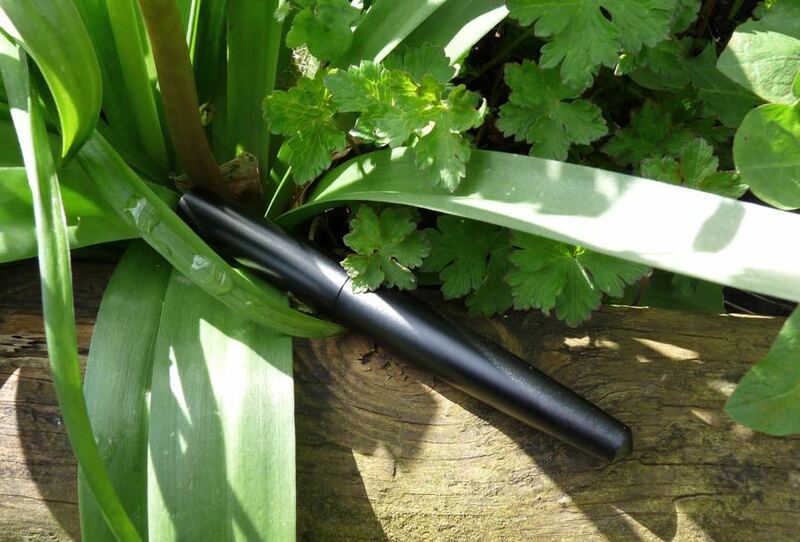 The Namisu Nova was born of a successful Kickstarter and is now available to buy. 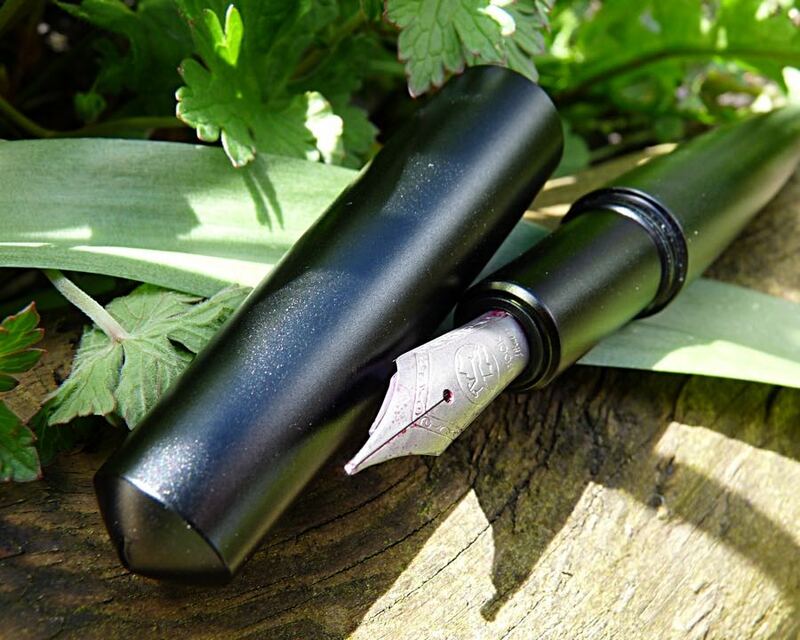 Namisu are a British company and that, sadly, is rare when it comes to fountain pens, so I’ve been particularly interested in seeing what they’re doing. The Nova is Namisu’s second pen. It’s available with several barrel and nib options. I originally bought the black aluminium barrel with a broad steel nib but later bought a medium titanium nib, which is the one you can see in the pictures. The Nova is a simple shape and this is okay because it’s stunning. There’s nothing more to say: just look at it. An absolutely classic design. Not only does it look great, it’s a very comfortable shape in the hand. The section is quite long so the threads, which are thick anyway, are well out of the way of your fingers. It’s a reasonable length, perhaps a little short for big hands, but nothing serious. Although it’s not designed to be posted, it’s possible to do so and the pen remains comfortable and well balanced if you do. The pen doesn’t come with a clip. It’s also, as a consequence of its shape and finish, quite slippery. It’s a menace to keep in a pen case as it will slide out of it at every opportunity. 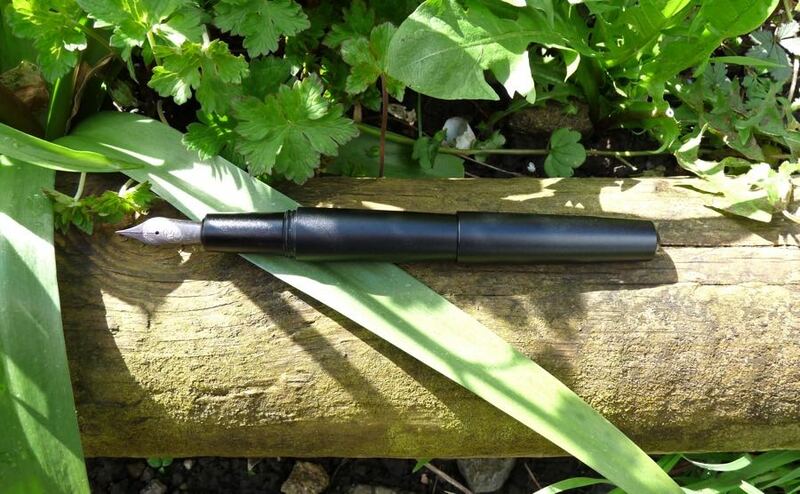 A clip would spoil the clean looks of this pen and I’m glad it doesn’t have one but it is quite amazing how keen it is on escaping. You can use standard international cartridges and converters, which gives a lot of options. 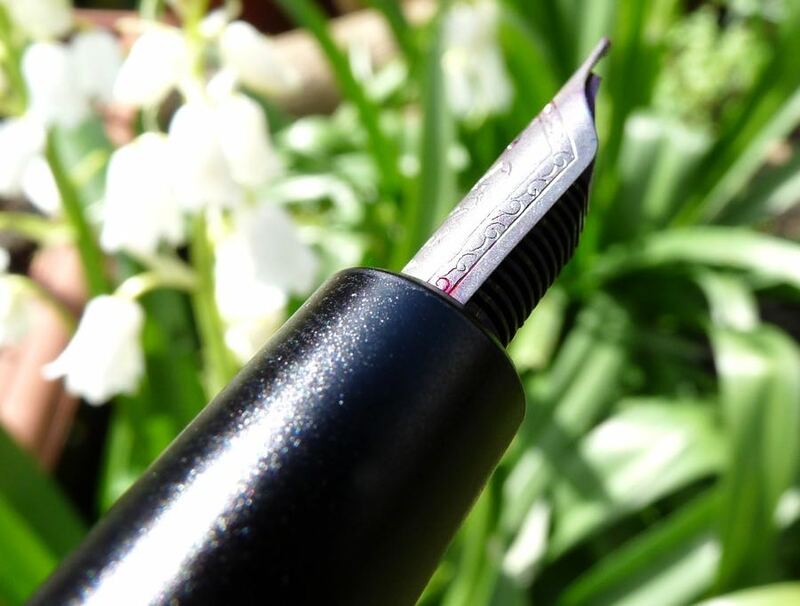 The Nova uses Bock nibs (as used by Kaweco, amongst others). The broad steel nib I bought with the pen originally is smooth and (now) has good flow unless you use it on highly coated paper (like Clairefontaine) when you get the occasional hard start. I liked the pen so much I thought I’d treat it (and myself) to a titanium nib. It was very disappointing because it could barely finish a letter before drying up. I sent it back to Namisu who replaced it quickly and painlessly. 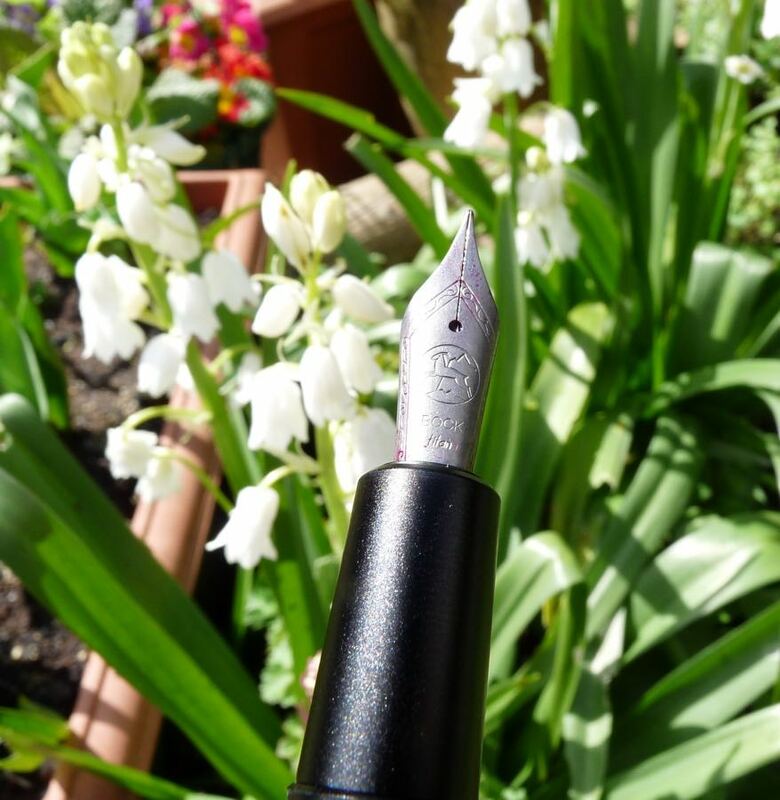 The new nib is a lot of fun: soft and springy, nice and wet and very well behaved. As you can see in the pictures, it looks great too. This pen looks fantastic and with a steel nib it’s incredibly good value and a great writing experience. A titanium nib is, I think, a luxury but it is certainly a step up for what is already an exceptional pen. 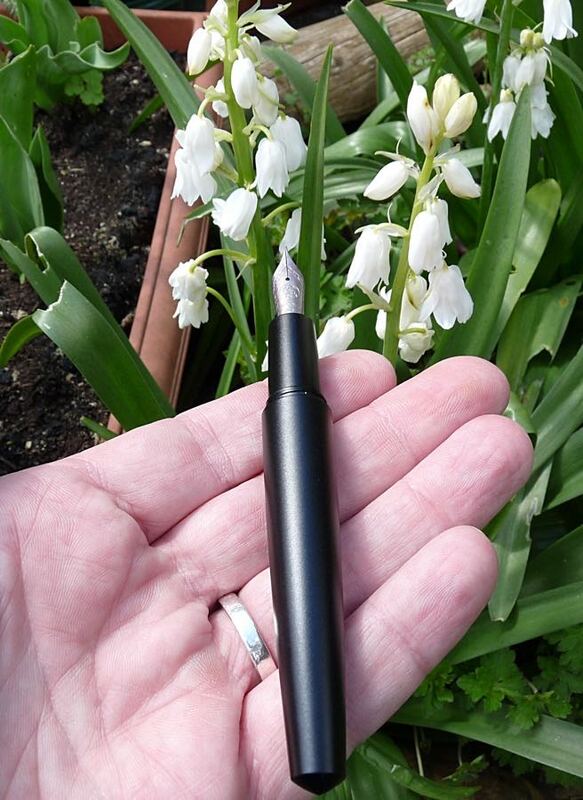 Great review of a pen I’d not heard of at all – looks like an inexpensive (relatively) way to dip a toe into Ti nibs too. Hi Ian, it’s Adrien from Namisu. 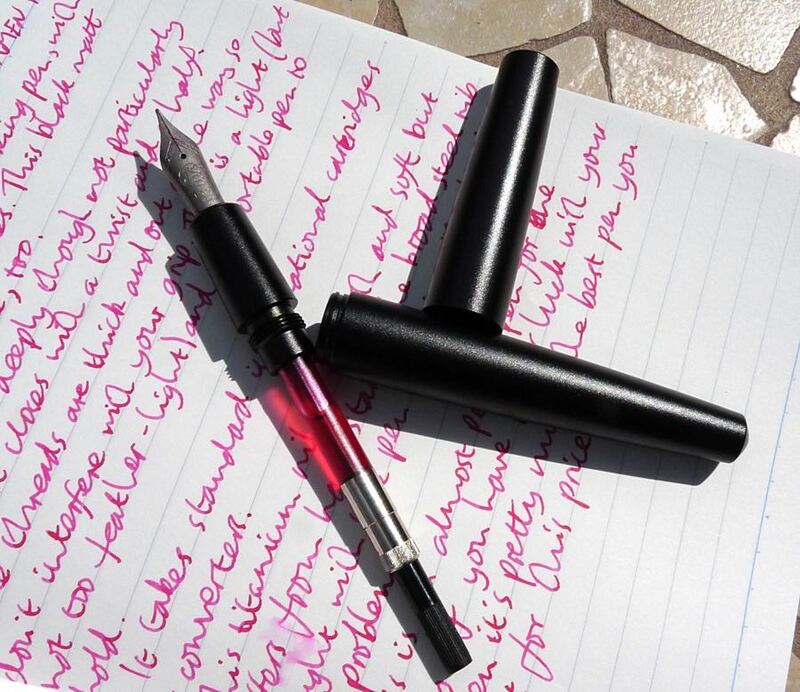 Thanks for writing this great review of the Nova, I look forward to reading more of your posts! I got mine off of Kickstarter and so glad I did. It quickly became one of my top 5 favorites right up there with my Franklin Christophs and my Platinum fountain pens! I, too, got mine from Kickstarter. I ordered the gray aluminum/med steel nib and polished titanium/gold stub nib. I fell in love with the design, feel and weight of the pens. I then ordered the black aluminum/fine steel and med titanium nib, which had skipping problems that Namisu offered to fix but I found a fountain pen shop nearby who fixed it. These pens are superior for the price and I use them daily. I hope to order fine/extra fine gold nibs if/when they’re offered around November.